SUMMARY OF UPDATE: having admitted to being the source of the abortive Guido Fawkes/Daily Mail story about my mortgage in 2014, and the recent fact free hit jobs on Byline in April this year, Dennis Rice reports me to the police. Well over a year since this blog was published, and nearly two years since I last corresponded with him in any fashion, Dennis Rice has seen fit to reactivate this issue after Byline broke various stories about the Conservative Culture Secretary John Whittingdale, which was followed by some corrigible hit jobs in the Daily Telegraph, Daily Mail and Guido Fawkes gossip website, directed against myself and the site in April 2016. I do hope you haven’t been injured in the self irony overload from your whining about the Sunday Telegraph not asking you to comment prior to publication. In order to do this you moved a tweet I had posted in January 2014 – in response to your attacking my family’s hacking and privacy – forward four months to pretend it had been made in response to a book which I had zero interest in, and everyone I knew had zero interest in (a situation which continues to this day). When this became clear to the UK Press Gazette they pulled the excerpt and unsurprisingly IPSO found in my favour. Even then you weren’t man enough to accept it – first you blogged your nonsense again claiming “censorship” (no its called correcting a complete inaccuracy); then inventing yet another conspiracy (yawn), namely that because Peter Wright was a member of IPSO, and had employed me six years earlier, he must have influenced the decision. What likely influenced IPSO was your ludicrous claim that you couldn’t check the original tweet – when it was on open display for a month at the time of your writing the book – then that you didn’t want to give me a Right of Reply for fear of the police being contacted. This demonstrated once again your complete lack of the most basic and rudimentary journalist training and skills. And I recall telling you at the time that the IPSO judgement would he there forever – and quite rightly so. Thus when newspapers are investigating Byline and it’s obvious links to Hacked Off (our differences in fact commenced with yout joining an attack in me by a Hacked Off director – an organisation you have never once criticised) you shouldn’t be surprised that they end up contacting me. That isn’t a conspiracy but rather a direct consequence of your own actions isn’t it? Now go back to your mundane and frankly boring existence imagining conspiracies and re tweeting yourself. Meantime rest assured that if anyone contacts me about you I will (a) provide any and all information I have on your rank hypocrisy and distortions; and (b) do it for free. Note I have done nothing but republish Mr Rice’s emails to me. But he continues…. Since his initial complaint, Mr Rice has failed to return my emails or provide me any evidence of an offence. As a result, his complaint has filed with no further action. Oddly enough, just as Mr Rice was collecting his erroneous information on Byline, I was sent a spear phishing email with malware via the Society of Editors server. In sum, I consider these investigatory, legal and now criminal allegations to constitute a clear case of harassment over prolonged period of time. 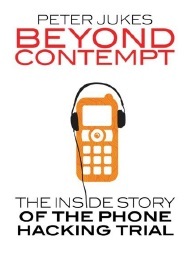 Despite popular demand to publish it gives me no pleasure to rehearse this sorry and rather sordid tale of tabloid trolling that arose in the background of my hacking trial coverage. I devoted a few paragraphs about this in my book, not because it had any huge public interest, but because it was indicative of the kind of abuses certain members of the British press routinely resort to. 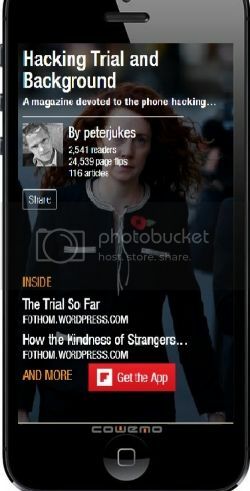 However, two of those responsible for running interference throughout my coverage of the trial, Paul Staines of the Guido Fawkes blog, and Dennis Rice, former journo with the Mail on Sunday and News of the World, have decided to turn the molehill of a minor and ‘not egregious’ press correction into a full post on the Guido Fawkes blog. Richard Bartholomew has already dissected most of the misrepresentations in a blog I’ve cross posted here. But there are additional details about Dennis Rice, Guido Fawkes and IPSO which are of public interest. The whole saga is a small but instructive example of the way the so called avatars of the ‘free press’ are willing to use any means at their disposal – investigatory, regulatory, and threats of civil and criminal legal action – to attempt to silence those who expose their abuses. For the last reason more than anything I’m prepared to wade through the sticky stuff again. 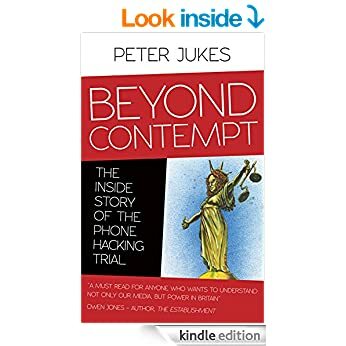 By popular demand I will be posting some of the threats from Dennis Rice, a former NOTW and Mail on Sunday journalist, directed my way throughout the hacking trial, as I sketched out briefly in a couple of paragraphs of Beyond Contempt. In the version serialised by the Press Gazette before the book went to the presses, there was one minor error of chronology which was corrected in a day. Why this minor error matters so much to Guido Fawkes will become apparent when I collate the tweets (not a pleasant task so give me a couple of days). But much of the context is explained below in an extensive blog by Richard Bartholomew, which I am reproducing here by kind permission, and to save duplication. A small but telling detail about the proximity of News of the World’s star reporter Mazher Mahmood to the Metropolitan Police. Then, on October 17th 2005 the Guardian ran a Roy Greenslade piece under the headline; “Police probe News of the World stories” – it was a report into the existence of Operation Canopus Two. For the first time a police investigation into Mahmood was out in the open. via bellingcat – Did Scotland Yard Cover-Up Beckham Kidnap Evidence So The Fake Sheikh Could Be Their Star Witness?. Earlier during that interview on 26 October 2005 Mazher Mahmood also told investigators from Operation Canopus. This is a full SIX YEARS before the police launch Operation Elveden, into corrupt payments paid to police by News International journalists. Why the delay? And how can we trust the Fake Sheikh’s activities can be fully and appropriately investigated by the same police force he worked so closely with? In his own words, some were bent. And he was also in contact with senior officers – probably way above the pay grade of those investigating him. In his autobiography Mahmood boasts of meeting the former Met Commissioner Lord Stevens for drinks, with his then boss Andy Coulson. As the Press Gang notes this was in 2003.